The Walt Disney Company announced Thursday it reached a deal to buy most of the assets of 21st Century Fox, in a transaction valued at $52.4 billion. 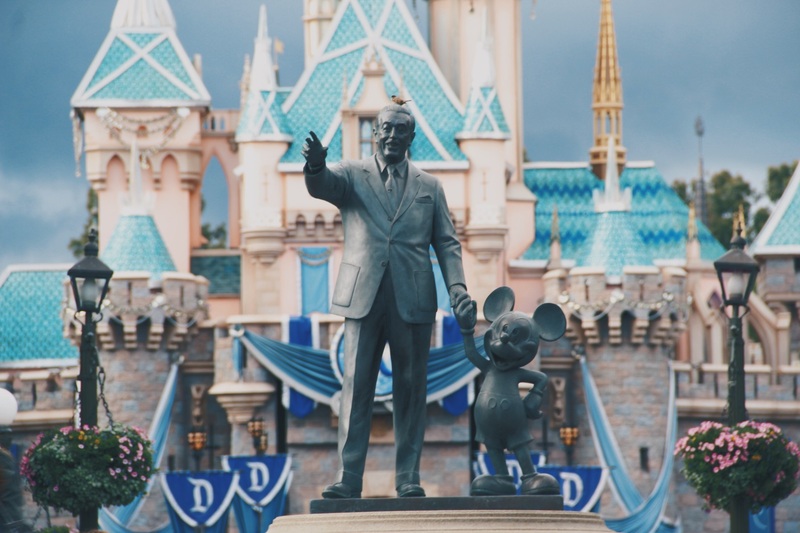 The agreement, subject to the approval of antitrust regulators, will give Disney enough leverage to truly compete with Netflix, Amazon, Apple, Google, and Facebook — in the realm of online video streaming. Fox News, the Fox broadcast network, and FS1 sports cable channel were not included in the acquisition. According to The Times, Disney hopes 21st Century Fox will expedite plans to introduce two Netflix-style streaming services in the next year. Want to know more? Find out what Disney is getting from Fox in this enormous deal. TicToc, Bloomberg Media’s 24-hour Twitter news network, is set to go live on Monday, Dec. 18. The company is staffing the team with about 50 reporters, editors, producers, and social-media analysts, reports Variety. The network will feature a mix of Bloomberg’s own live video reporting and breaking news content from Twitter, curated and verified by Bloomberg. Touted as the world’s first “social news network,” by the news organization, TicToc will be the first 24-hour live network that’s exclusively available on Twitter. Tune in to @TicToc December 18 to watch it go live. Storify, a service that lets users create stories by compiling posts from Twitter, Facebook, and more into an embeddable package, is shutting down in May 2018. Existing customers can continue to use the service until May, however, no new accounts can be created as of Dec. 12. According to The Verge, Storify gained popularity because it was “an easy way to create and embed a timeline of various social media content into their work — similar to what Twitter’s Moments is today.” Current users can save their content before the service officially shuts down. Users who want to continue using the platform are being asked to try Storify2, which will work inside Livefyre Studio and require a license purchase. Are you a Storify user? Check out this FAQ page for more information on the shutdown. Google is launching three new photography apps, as part of its “appsperiments” program. The new apps will be called Storyboard (Android only), Selfissimo! (iOS and Android), and Scrubbies (iOS only), and are inspired by the Motion Stills app released last year. “The apps involve a number of technologies now in development at Google, including those focused on object recognition, person segmentation, stylization algorithms, efficient image encoding and decoding technologies,” reports TechCrunch. “If all goes well with the new app experiments – the features they offer could eventually make their way to Google Photos,” Perez adds. The three apps are now available for download. Snap announced this week Lens Studio — an app for Mac and Windows desktop computers, where users can design and build their own augmented reality (AR) lenses for Snapchat. The new apps will offer templates and guides to help users get started, for both two- or three- dimensional designs. Users will also have the ability to build additional effects, such as tapping an object to change its shape. Lens Studio is available globally, but is currently only in English. Next year, Snap will launch a series of “Lens Studio challenges” designed to attract more developers, reports The Verge. ← Newsroom gifts! Forget someone on your list? Here are some ideas for journalists and bloggers.